First of all, thank you for taking the time out of your day to check out our little budding blog! I wanted to start by sharing what to expect if you decide to follow along with us. These days it seems like everyone and their dog has a blog, so what’s unique about ours? Spoiler alert: there are still going to be dogs. My hopes for this blog are that it would be inspiring and pretty but also realistic. Sometimes social media can leave you feeling empty and wanting–why doesn’t my kitchen look like that? Why doesn’t my body look like that in a bikini? (Why doesn’t my body look like that in a one-piece?) Why can’t I figure out how to make my hair curl that way? I think these are questions we all ask ourselves as social media drives you to compare every aspect of your life to someone else’s. I bet even those gorgeous bikini-model-white-marble-kitchen-types have moments of insecurity. I think the idea behind those posts is to “inspire” others, but sometimes it has the reverse effect on me. I’ll never be a beauty blogger (honestly, I can barely blow dry my hair and I’m pretty sure I only own 2 shades of lipstick). I’ll never live in an all-white house (did you read the spoiler about our two dogs?!) but I love to try new things and to laugh along the way (usually at myself). The teacher in me (have I mentioned I’m a kindergarten teacher?) wants this blog to be like a “make and take”. I hope to inspire you but also to give you resources to use in your real life–not just to show you a picture perfect “social media” life. Find a recipe you can make when you have friends over! Find an outfit to wear to a friend or family member’s wedding! Spot the perfect shoes for a date night with your significant other. Find a new coffee shop to visit while you’re having quiet time. To me, one of the biggest joys in life is found in relationships (with family, with friends, with Jesus). I hope that here you will find a little inspiration to add to what is already joyful in your life. 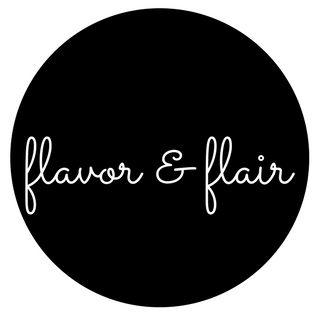 Next up, Wes will post about what to expect from the flavor side of things. Stay tuned for talk of tacos, whiskey, and kitchen gadgets galore!